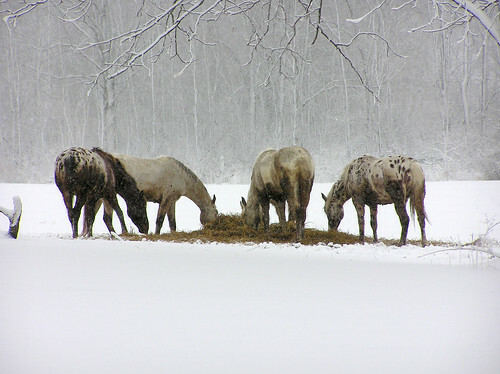 appaloosas in the snow, originally uploaded by normanack. It’s time to show your battered wallet a little love, yes? 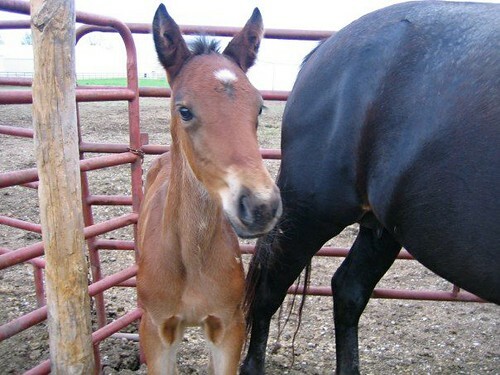 Playing with the standardbred foals, originally uploaded by The DeBruler Family. If you’re going to the California State Fair, stop by the Budweiser Grandstand from 4:00 p.m. to 7:00 p.m. (PDT) on race days to admire a Standardbred foal and get a chance to win $15,000. Fairgoers are invited to meet the baby racer and participate in the naming contest along with “play to win” games and activities about horses and harness racing. In Love with Her Horse, originally uploaded by Captain Suresh. HorseGirlTV™ is a bi-monthly show hosted by Angelea Kelly and presents international equine sports and equine athletes through entertaining and educational designs. The format is hip, happening and always horse related. Tune in. Tack up.™ It’s not what you think! Vote for your favorite episode, tell us why you like it and automatically be entered to win prizes! Simply click on the button below the vidcast that says “Vote & Win!” to vote for your favorite episode. You can vote as many times as you’d like to increase your chances of winning. Incomplete or duplicated comments will not be thrown in the hat but repeat email addresses and names are accepted. Winners will be drawn from a top hat and announced in the next episode. The grand prize winner will receive a pair of FITS™ Riding Breeches valued at $210. Our runner up winners will receive a HorseGirlTV t-shirt or coffee mug! GUESS WHAT? I have a copy of this book in my hands! And it’s for YOU! 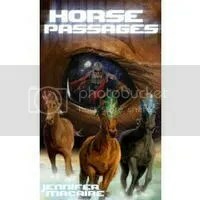 This is how you can become the owner of this new copy of HORSE PASSAGES by Jennifer Macaire…Simply leave a comment on any Deliciously Clean Reads post between now and Monday, April 30th. Comments can be about anything, but I would appreciate if they were relevant to the book reviewed or your feelings about Clean Reads in general. Your comment must include your name (of course, it can be just a first name, or if you’re really shy, just an online alias). Names of commenters will be tossed into a hat, and I’ll announce a winner one week from today on Tuesday, May 1st. Sorry, time’s a bit tight, but you can still make it! You can also win a saddle through one of the latest Blog Carnival entries. 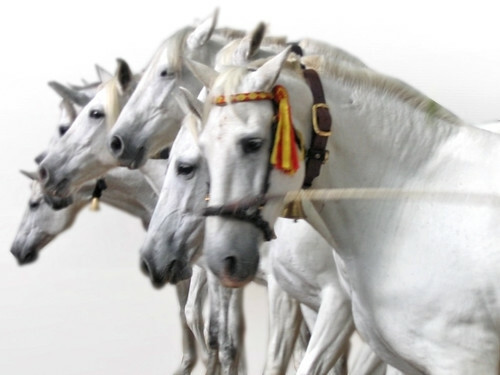 Welcome to the April 25, 2007 edition of horse lovers blog carnival. Girls Horse Club presents Five Things: What Goes Down Must Come Up posted at GirlsHorseClub.com Blog. Halt Near X presents Five Things I’ve Learned posted at Halt Near X.
Sarah presents Five Degrees Fahrenheit posted at Scary’s West. 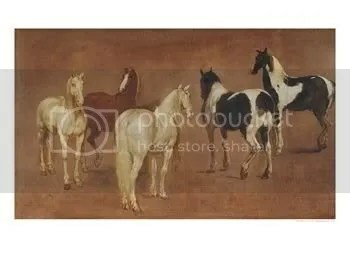 Chris presents You know you’re a horse addict if….. posted at Real Horses Weigh a Ton. Tracey Westubry presents Five Things posted at Mustang Diaries. Kelly presents 5 Great Ways to Improve your Riding posted at Every Rider. PFI Western Store presents PFI Raffles Off a $10,000 John Wayne Saddle!!! posted at PFI Western Store | News. Mikki Hooven presents One Year With Valentine posted at Our First Horse. Bill presents Au naturel, hairy legs and all posted at Our First Horse. That concludes this edition. Submit your blog article to the next edition of horse lovers blog carnival using our carnival submission form. 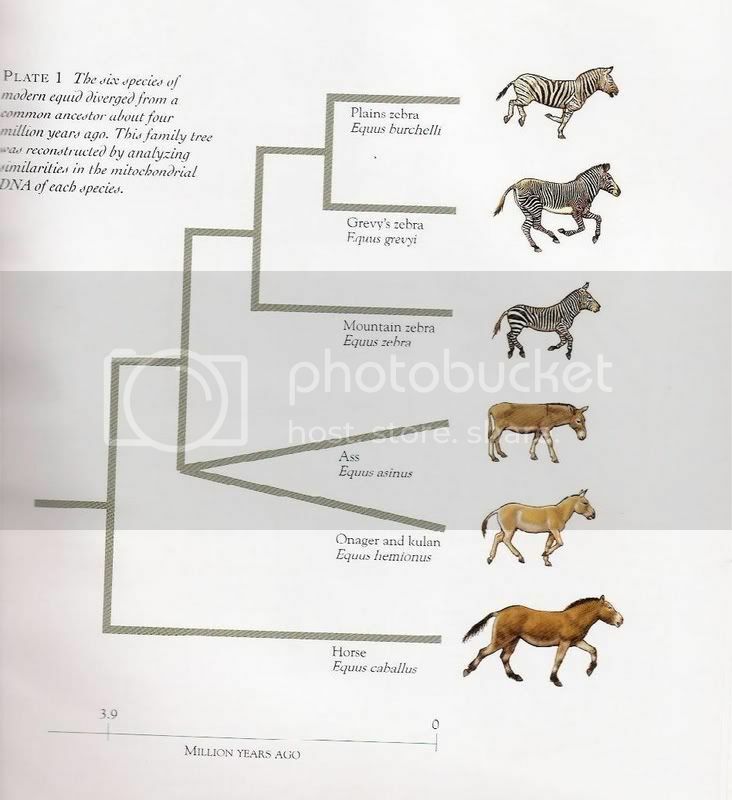 horse lovers blog carnival, blog carnival, draft horses, horses, horse racing, five things, contests, animals, equine, equestrian, horse breeding, veterinarian, NAIS.